Fully automated trains are coming sooner than you think, and as mining company Rio Tinto is demonstrating, they have the potential to bring greater safety and efficiency to mining operations everywhere. Rio Tinto is leading the mining industry towards a driverless future. Last fall, the mining giant completed a 100-kilometer shipping route using an autonomous locomotive, operated remotely from the company’s Perth-based “control room.” The journey was the longest ever undertaken by a heavy haul train. The milestone voyage is part of a larger Rio Tinto initiative to commission its full AutoHaul® network of driverless heavy haul vehicles by the end of the year. Well into the second quarter of 2018, it’s on pace to meet that lofty goal, setting a standard that could transform the entire industry in the process. 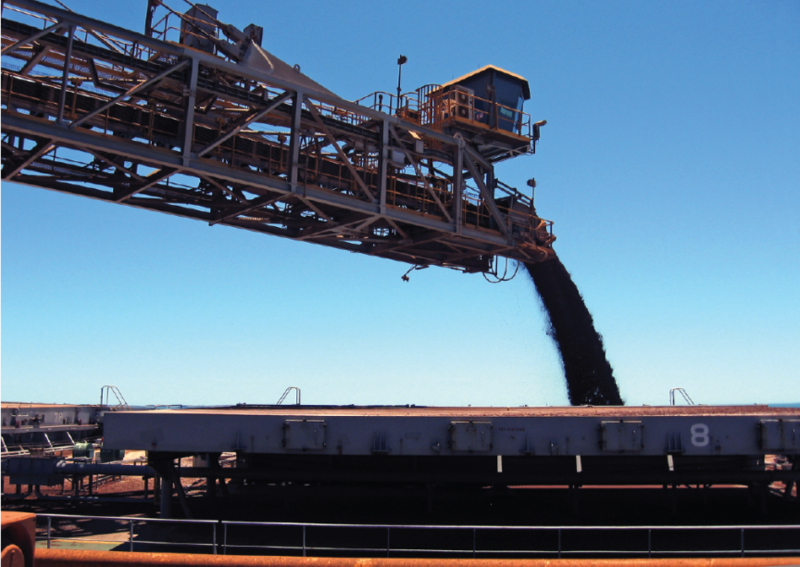 Rio Tinto’s test shipment was a significant step forward in the “Mine of the Future” project launched by the company in 2008. The project’s mission: to “find advanced ways to extract minerals deep within the Earth while reducing environmental impacts and further improving safety.” The Perth-based program oversees the AutoHaul network, as well as a range of automated haulage and drilling systems. Since last fall’s historic driverless voyage Rio Tinto has put 200 autonomous vehicles into regular use, hauling iron ore from 16 mines in Australia across 1,700km of track. One of the first mining companies to employ driverless vehicles, Rio Tinto now says that AutoHaul plays a role in 90% of its pooled fleet production tons, enabling locomotives to respond automatically to speed limits, alarms, and other restrictions. The company notes that AutoHaul has improved safety throughout its worksites, as well as reduced average travel times by as much as an hour. Autonomous trains have the potential to completely revolutionize the mining industry and help these businesses be safer and more productive than ever before. But regardless of who or what takes the wheel of tomorrow’s trains — whether it be man or machine — mining companies will still need an effective dust control strategy backed by proven products to keep their operations running in peak condition. That’s why we at Midwest Industrial Supply Inc. offer a suite of industry-leading dust control products that help keep mining operations running cleanly and efficiently. With over 40 years of experience in the industry, Midwest Industrial Supply, Inc. has been designing managed application programs backed by these products to keep operations rolling without interruption. Midwest’s patented Soil-Sement® product allows mining operators to meet strict EPA standards for the reduction of PM10 and PM2.5 emissions. And when applied correctly, eliminates fugitive dust emissions by trapping dust within the surface of haul and access roads while reinforcing the roadbed. Here at Midwest, we pride ourselves on delivering the best strategies and products possible to keep the mining industry clean, safe, and thriving. Jim is Midwest’s Business Unit Manager for Global Mining. He is experienced in operations management, asset management, and business improvement.